Who doesn’t know that time when the new year is just around the corner and you’re anxiously trying to fit a holiday in midst of what seems to be only appointments. This is where we are trying to help you out by starting our annual calendar campaign in the canteen of Airbus Werk 1. 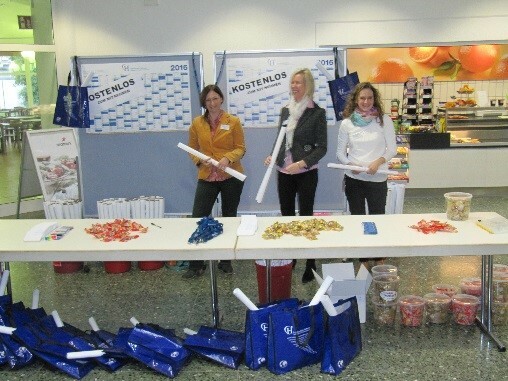 Now around 1000 employees of the surrounding companies are equipped with calendars by Heimann Engineering. Ready for 2016, we hope that they won’t miss important appointments anymore and that they find lots of free time to accommodate their holiday. Our calendar campaign has also been a great success in the past years.